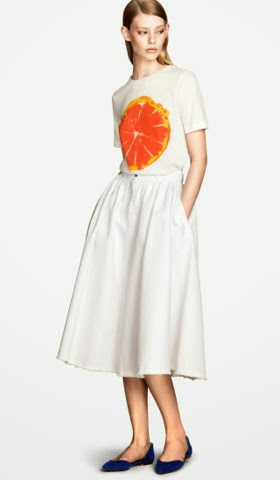 #CurlyHeadedChicGirls: Midi skirts obsession ! 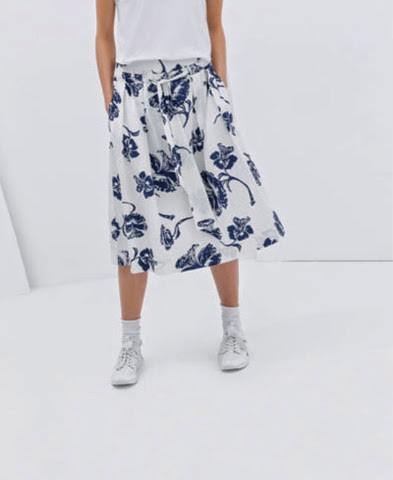 Hey guys , today we decided to talk about midi skirts and how much we love them ! 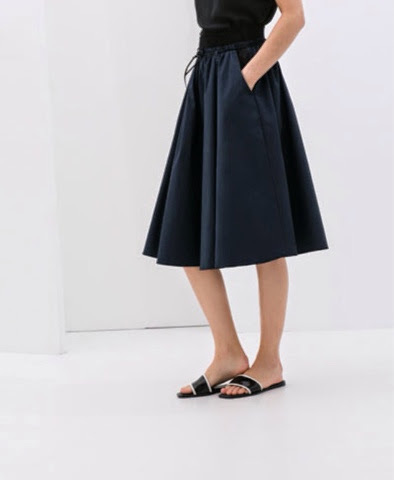 Well we love midi skirts because they are flattering on all body types and they look perfect on everyone .. Plus they elongate your legs and I think that's a bonus , but still they aren't everyones cup of tea . 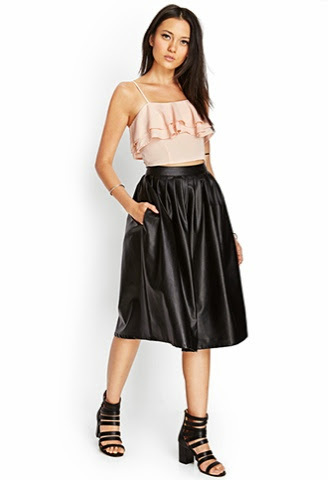 This one is from H&M and I LOVE it !! I'm so digging the all-white trend this summer and can't wait to rock it .I think I am going to get that skirt because it is perfection !! It costs : 62 $ it's a bit on the pricey side but I think it's worth it ! Both of the skirts are perfect ofc they are from Zara ( typical me ) I love the color combination and the print on the secound skirt it's just the perfect floral skirt and I don't really like floral things they just aren't my cup of tea but I think this floral print is perfect .... And the first skirt is a simple but still chic skirt that can be dressed down or dressed up , you can wear it at an event or on a casual Monday . That was it for today's post I wish you enjoyed it and was helpfull , follow us on Instagram : ROUAMILEY , Swe3tsugar , and also like our page on Facebook : Curlyheadedchicgirls . We wish you like our posts and you enjoy them thank you for following us and checking our posts all the time we apriciate it , love ya <3!